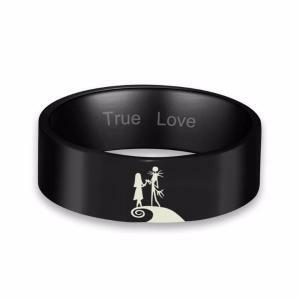 This couple ring was inspired by the love between Jack and Sally in "the Nightmare Before Christmas"., does it exist such a companion around you: even if you are misunderstood by all the people around, he(she) will understand you, believe you and love you. 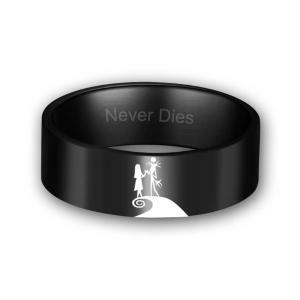 We hope that on the occasion of Halloween, you can wear such a couple ring for his (her), both believe the “True love never dies”. 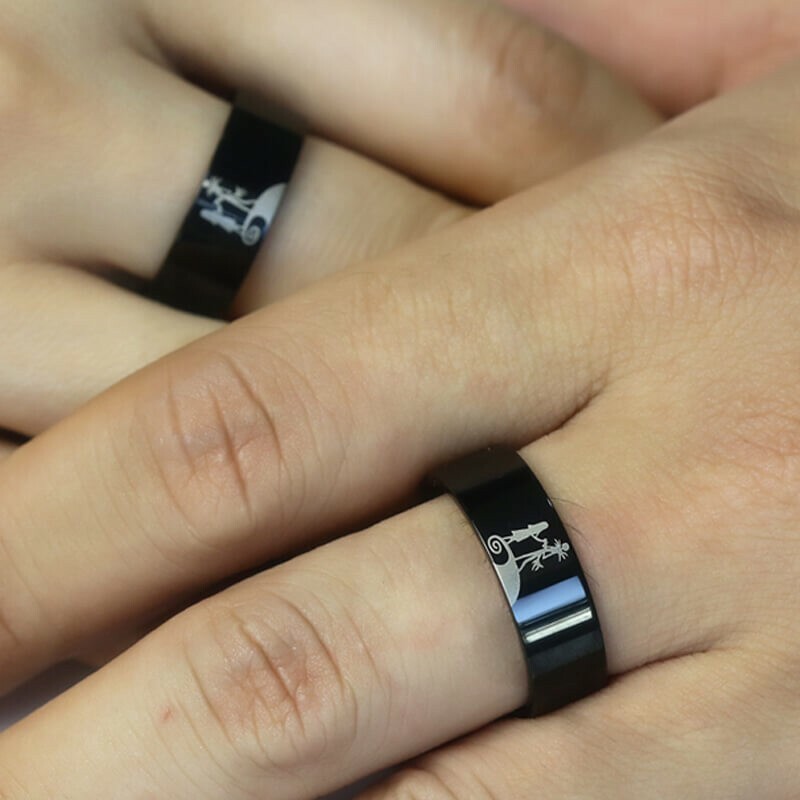 Titanium is a lustrous transition metal with a silver color, low density and high strength. 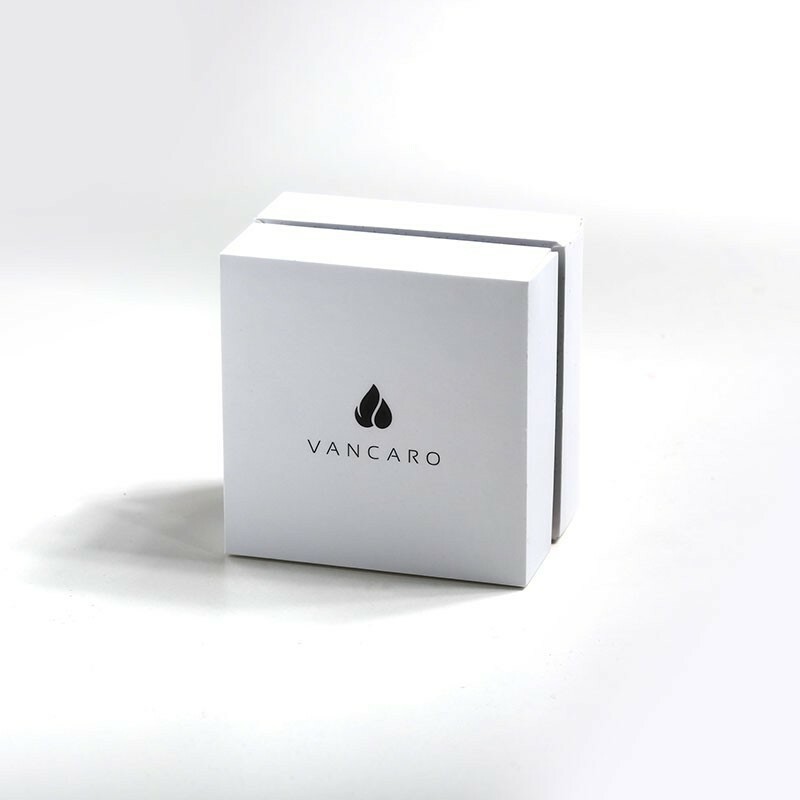 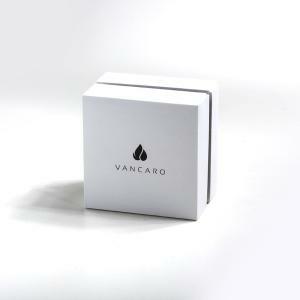 Titanium steel has been adopted by the current generation of young designers. 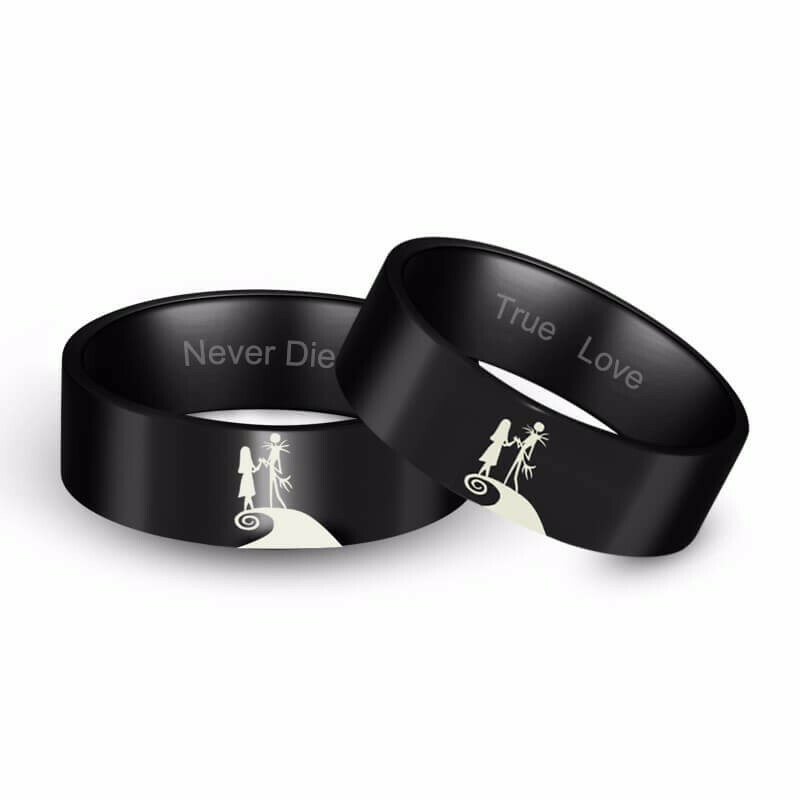 This couple ring for men was plated with "Never Dies", while the ring for women was plated with "True Love". 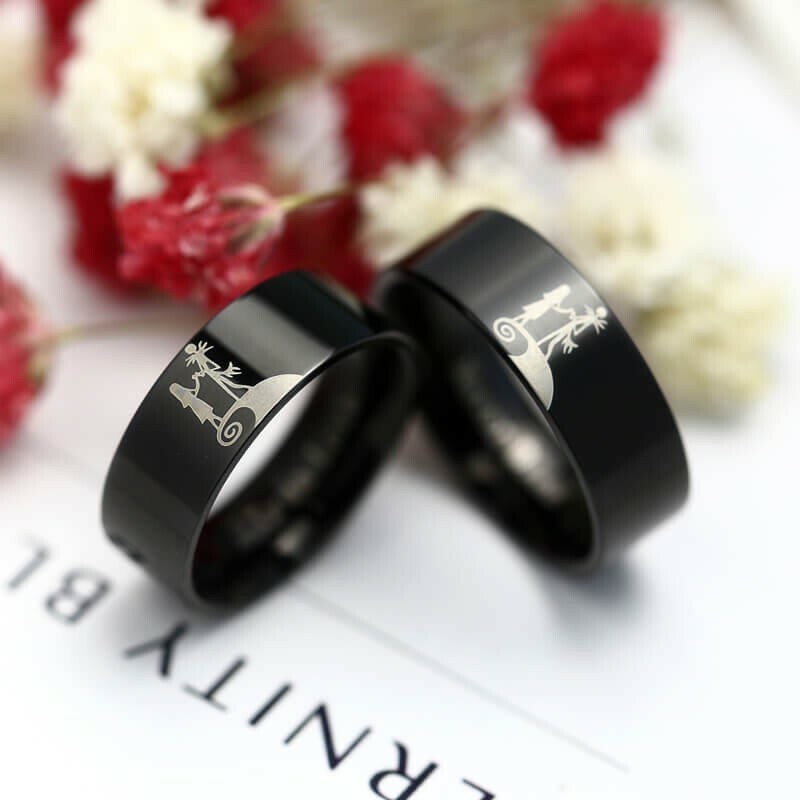 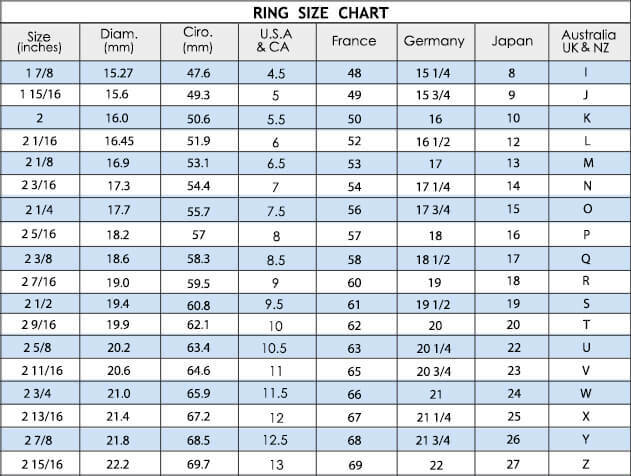 Couple ring is the best proof that you already have a boyfriend, and black is the most classic color to match with anything. 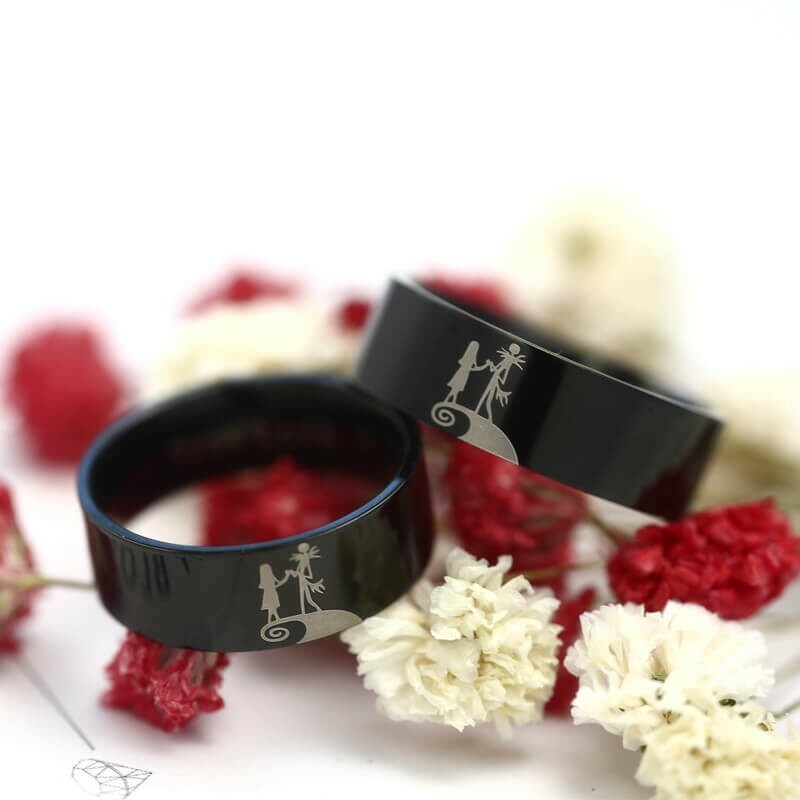 Why not wear with your leisure jacket, find a sunny day, took your boyfriend to show your romance.